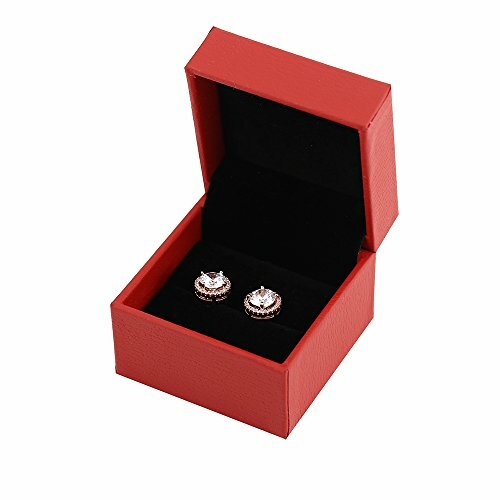 Fleur Rouge, Jacky and Anna's first dating gift, showed two founders' pure love. 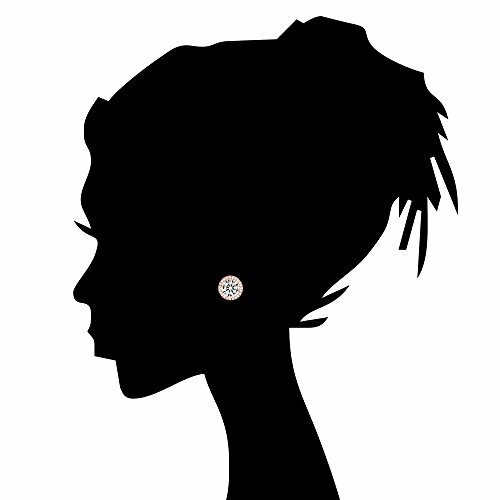 The earrings are our new design just want to share with women around the world. 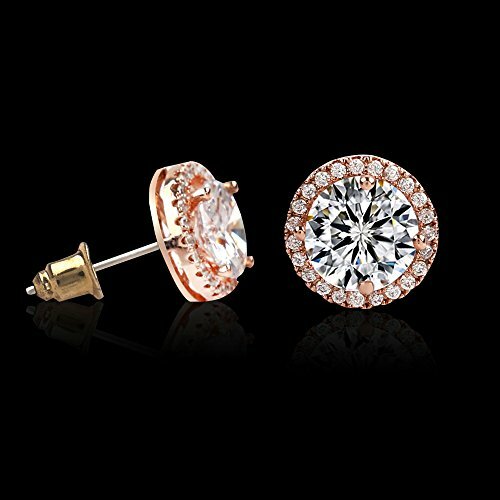 These Cubic Zirconia Stud Earrings Lend an Authentic Finish to Your Look that is Appealing to the Eye. 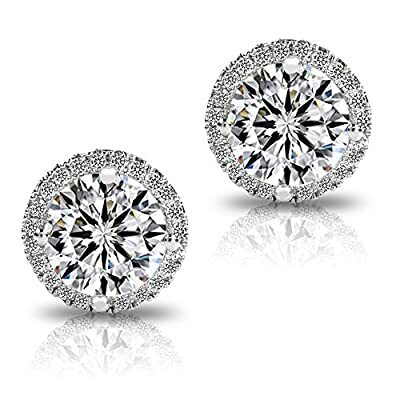 Each Earring Comes with a Generously Sized and Bling Cubic Zirconia That Makes Each Piece Stand out, While the Included Box Ensures Convenient Stowage so Finding Them is Easy. good plated, they can be kept very long time if you maintain well. A:Pls don't worry about it. We use environmental materials. Nickel free, lead free and allergy free guaranteed. 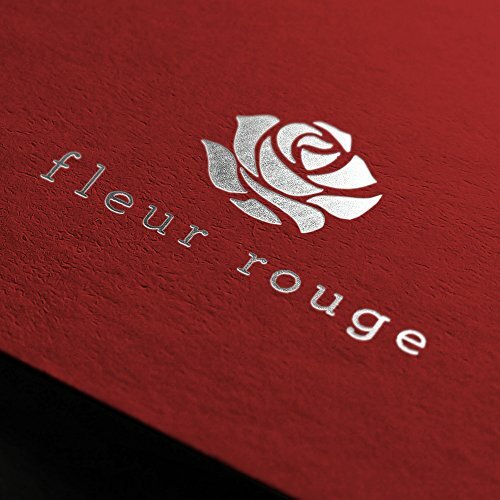 Fleur Rouge is a US registered trademark and Fleur Rouge Jewelry is its only owner, Exclusively sold by Authorized Fleur Rouge distributor only. 1.66 Carats Bring you good luck, She will love it and say YES!! Nickel free, lead free and allergy free guaranteed. 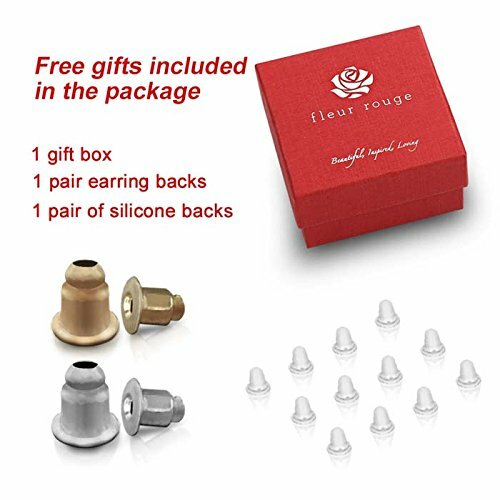 Wrapping&Size:L x W x H 10*10*10mm Come with a free gift box & 1 pair of silicone backs,1 pair earring backs(as picture?, gift-wrap available Contact us if any questions, more fashion & classic styles, just search "Fleur Rouge" in Amazon.